We know why people everywhere, including Murfreesboro, love Privacy Fencing… Adding a privacy fence it helps you get some privacy in your own yard! It looks great, can be designed to match your landscaping, and is available in different materials, styles and a range of colors. 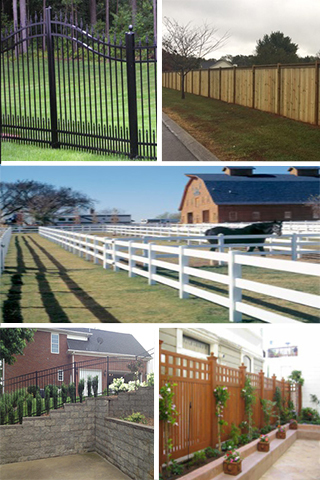 Whether you have a small duplex yard that needs privacy fencing, a small condominium, or a large home yard, we can install privacy fencing in Murfreesboro on any type of property. Not sure you can afford privacy fencing? It’s probably less than you imagine! Give us a call today to set up your hassle-free, no-obligation free quote. It does not matter whether you are getting a privacy fence for the first time, or are replacing another privacy fence or any other type of fence. We can help get rid of the old fence and install a new one for you if that’s what you need. SAVINGS!Because we install so many privacy fences in Murfreesboro, we are able to purchase our materials in bulk, and we are able to pass the savings on to you! Call today to learn more or to discuss setting up your hassle-free, no-obligation appointment.